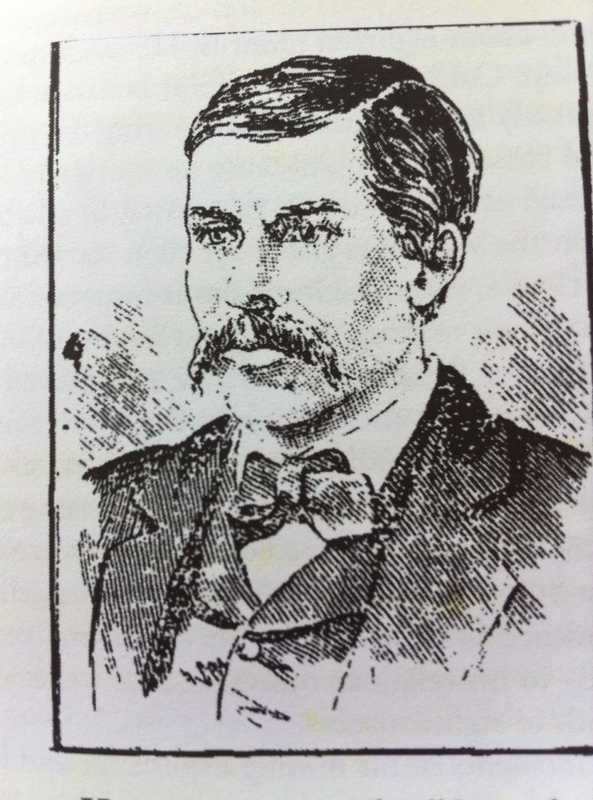 HENRY WISE – “The Squealer” (age 35) was born in Monroe Valley, Lebanon County on the 4th of June 1845 and his parents were of American origin. He had not much chance to go to school being compelled to assist his father in supporting the family. At the age of fourteen his brother-in-law and he went to Gold Mine Gap in the winter to cut wood, as he was obliged to handle the axe and do a man’s work. At 17 he worked at Rausch Creek coal mines and was the most industrious man in the company. He first sought religion at this time and kept in the narrow path for about 7 months, when he was seduced by the world again and felt ashamed whenever he met a Christian Brother. Married at 19 and with his wife, in 6 or 7 years, he began to seek religion again and was faithful for about 18 months. After his baptism by Rausch Gap in Cold Springs he was grossly insulted by someone and Satan got the upper hand with him again and he got angry and ceased praying because he thought he was mocking the Lord. Continuing to work in the mines or tie making for the rail road for 5 or 6 years in Dauphin County, he then moved back to Fishing Creek Valley where he and his wife determined to make one more effort to overcome the devil and succeeded to follow the precepts of the Lord for two or three years. But being compelled to work in the mines on Sunday he could not apply himself faithfully and backslid from following once again. He related many instances in the mines when he was an instrument in God’s hand to save several lives by warning them of falling rock in time not to be crushed. On one instance his close friend was crushed and Wise could not warn him in time leading to his death. Wise loved him so much that he collected over sixty dollars to give him a decent funeral and tombstone. He and his wife made up their minds to go west to live in a more moral and safe atmosphere but were unable to sell their property and therefore were diverted from his purpose. It was then that Israel Brant began promising him how easily money could be raised without incurring any risk but with a small outlay golden visions of wealth could be his. After constant badgering by Brandt, Wise finally agreed to help pay for the insurance policies on Raber. Once apprehended and in jail Wise was strongly impressed with the load of sin he was carrying, and like Bunyan in Pilgrim’s Progress, thought he would turn over a new leaf and start fresh on his hard journey towards Mount Zion on which journey he claimed to be still proceeding. His conduct in jail was good and he passed the greater part praying and singing. LOBO COMMENTS: Henry Wise was a typical novice Christian who did not receive proper discipleship and influence from the Body of Christ through regular attendance at a local church. Hence his frequent backsliding and mis-understanding of the Biblical doctrine which teaches that one cannot lose their salvation once saved. Without learning the precepts of the scriptures he was easily tempted and offended and walked away from the Faith. Once in the sanctuary of his jail cell with nothing to do other than pray, sing and read the Scriptures, his Faith was strengthened like never before. He repented of his sins, found forgiveness in Christ and became a shining light in that dark place. It was in this context which caused him to tell the whole truth and nothing but the truth to his Maker and then reveal the entire conspiracy to the authorities. He mistakenly thought his confession would save him from the gallows and eventually stood prematurely before his Maker. Next up Jesiah Hummel, The Ladies Man!